We offer an excellent choice of vintage, antique and second hand jewellery. All of our jewellery is fully guaranteed for two years and securely shipped to you free of charge. Each item we sell and service we supply is backed by a high standard of care that we have been proudly providing since 1968. Our friendly team look forward to dealing with you either online or in store. Our Rickmansworth store. also stocks an excellent selection of high quality new jewellery. We offer an excellent choice of vintage, antique and second hand jewellery. 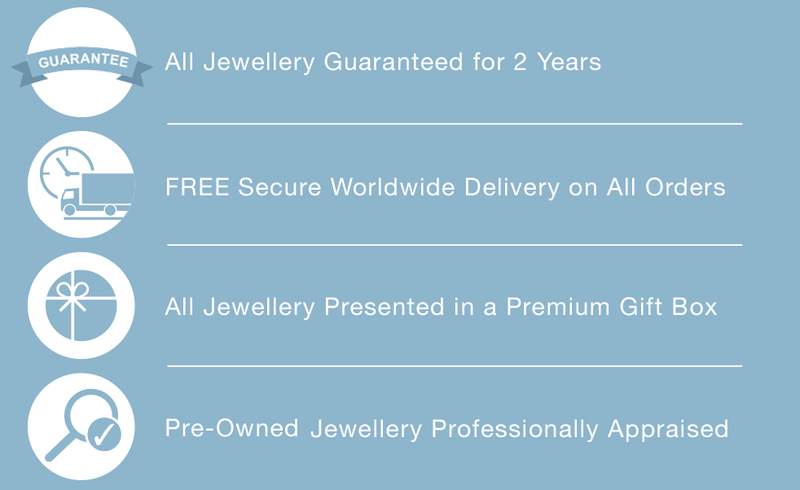 All of our jewellery is fully guaranteed for two years and securely shipped to you free of charge. Each item we sell and service we supply is backed by a high standard of care that we have been proudly providing since 1968. Our friendly team look forward to dealing with you either online or in store. Our Rickmansworth store also stocks an excellent selection of high quality new jewellery. Always put the customer first. I've been shopping here for over forty years and the fact that they are still thriving says it all. Great choice of jewellery means I always find what I'm after. As for repairs and assistance, they are excellent and often don't even charge. Can't recommend enough. I came across RH Jewellers by chance whilst looking at various websites. On my first visit I purchased 2 items that were listed on their website. I was really pleased as both items looked fantastic and the price was right , for me. Since then i have purchased some costume jewellery from them for my daughters birthday then graduation. I cannot recommend their services enough. They are a small family run store which gives you fantastic customer service. They are patient and aren't pushy, unlike many other jewellers. They sell a good variety of jewellery, secondhand and new. If they don't have an item in store you can always order it in, a service which we have used. A great little jewellers which i would be happy to purchase through again. Happily got the tiny earrings out of the window for me and let me spend ages choosing - I love little things. They didn't cost much, but the people were lovely anyway. So I go back every time I'm in Rickmansworth and always find something I want. Knowing I like their stock, a friend went there and bought me a lovely brooch at Christmas too.